Continue reading "Wexford Fans Will Be Delighted With Players Re-Introduction To Match-Day Panel"
Continue reading "Wexford Hurling: Nina Simone, Championship’s Beauty And A New Mentality"
Continue reading "Four Talking Points Ahead Of The Opening Round Of The Wexford SHC"
Continue reading "One Wexford Native Named In Fitzgibbon Cup Team Of The Year"
All the ticket information ahead of the Allianz League Quarter-final between Wexford and Galway. Continue reading "Opinion: An All-Ireland Premier League? Here’s How It Could Work"
Continue reading "TG4 To Broadcast Wexford vs Galway This Weekend"
The legendary GAA commentator remembers a famous Wexford hurling victory against Cork. Continue reading "Fitzgerald Gives His Thoughts On Kilkenny Game And Galway Pairing"
Wexford's Paudie Foley hit some monster frees against the Cats on Sunday. Continue reading "Team News: Fitzgerald Announces Team For Kilkenny Clash"
Brian Cody has named his side to face Wexford for this Sunday's clash versus Wexford. Continue reading "Fitzgerald Provides Update On Lee Chin Injury Ahead Of Kilkenny Game"
Continue reading "TG4 Confirm Wexford And Kilkenny Match Will Be Aired Sunday"
Continue reading "Cathal Dunbar’s Move To Naomh Eanna Has Been Approved"
Continue reading "GAA Confirm Date And Times For Refixed Wexford Matches"
Continue reading "This Is When Wexford Will Play Kilkenny In Round 5 Of The NHL"
Continue reading "The Extent Of Lee Chin’s Injury Has Been Revealed"
Continue reading "All Of Wexford’s Scorers As The Yellowbellies Cruise Past Clare"
Continue reading "Four Talking Points As Wexford Top The Table After Clare Victory"
Continue reading "Davy Fitzgerald Names Side To Face His Native Clare"
The Clare Senior Hurling management team has revealed their starting team ahead of their visit to Wexford. Continue reading "Paudie Foley Speaks Hurling Return, Travels And Professionalism Of New Set-Up"
Wexford manager Davy Fitzgerald has named his starting XV ahead of the Round 3 clash with Tipperary. Continue reading "Tipperary Team Shows Five Changes As They Welcome Wexford To Thurles"
Continue reading "Key Wexford Forward Back Fit For Tipperary Battle"
Continue reading "Guiney Talks About Recent Games, Davy Fitz’s Approach And Place On XV"
Continue reading "All The Scorers As Wexford Make It 2 From 2 In League Campaign"
Continue reading "Meyler And Davy Announce Senior Hurling Teams For Sunday"
Continue reading "We’ve Picked The Best Wexford Hurling XV Since 2000"
Continue reading "LISTEN LIVE: Draws For The Local Wexford Hurling & Football Championship"
Continue reading "Former Wexford Hurler Diarmuid Lyng Leads Petition To End GAA’s Pay-Per-View"
Continue reading "A Wexford Band Have Written A New Song Dedicated To Wexford GAA"
Continue reading "All The Wexford Scorers After First Round League Win Over Waterford"
Continue reading "Davy Fitzgerald Announces Side To Face Waterford In Opening Allianz NHL Round"
Continue reading "Nine Starters From Last Years All-Ireland Named In Waterford Team Vs Wexford"
Continue reading "All Wexford’s Scorers From The Walsh Cup Final Victory Over Kilkenny"
Continue reading "Wexford Are The Walsh Cup Champions After Historic Occasion"
Continue reading "Brian Cody Reveals His XV For The Walsh Cup Final"
Continue reading "Strong XV Named For Wexford Walsh Cup Final Vs Kilkenny"
Continue reading "Opinion: Three Reasons Why The Pre-Season GAA Competitions Are Here To Stay"
Continue reading "Kilanerin & Fethard Play In Respective All-Ireland Semi-Finals This Weekend"
Continue reading "Why The Walsh Cup Final Was Changed From Sunday To Saturday"
Continue reading "Glynn-Barntown’s Paul Carley Set For New Management Role"
Continue reading "Long-Serving Wexford Hurler Announces His Retirement"
Continue reading "Wexford Hurler Conor McDonald Is Opening His Own Fitness Studio"
Continue reading "Ballygarret Chairman Opens Up About Cathal Dunbar’s Recent Transfer Request"
Continue reading "The Date For The Walsh Cup Final Is Changed"
Continue reading "Davy Fitzgerald: “I Don’t Think We Played Well Today…”"
Continue reading "All The Scorers From Wexford’s Walsh Cup Victory Against Dublin"
Continue reading "The Wexford Team For Walsh Cup Semi-Final Vs Dublin Is Named"
Continue reading "Gilroy Names His Dublin Side To Face Wexford In Walsh Cup Semi-Final"
Continue reading "Wexford Hurlers’ Odds For Leinster Championship Are Questionable"
Continue reading "All The Wexford Scorers From The Walsh Cup Demolition Of Wicklow"
Continue reading "Venue, Date And Time Confirmed For Walsh Cup Semi-Final"
Continue reading "Fitzgerald Names His Side To Face Wicklow In Walsh Cup"
Continue reading "Another Victory Means Wexford Avoid Kilkenny In Walsh Cup Semi-Final"
Continue reading "Lee Chin’s New Helmet May Take Some Time Getting Used To"
Continue reading "Crucial Injury Concern Returned To Action Against Carlow"
Davy Fitzgerald has named a strong side to face Carlow as Wexford's 2018 campaign commences. Continue reading "Watch: David Dunne Defies All Odds At Wexford’s Fittest Superstars Event"
Extremely difficult. Share your answers on our social channels media and challenge your friends. 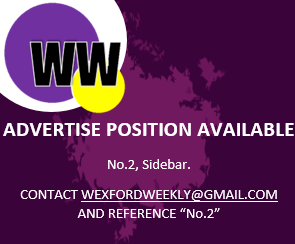 Continue reading "The U-21 Premier Football Champions Were Crowned Tonight"
Continue reading "Frank Flannery’s Reign As Oulart Manager Comes To An End"
Continue reading "Davy Fitzgerald Will Now Need A New Goalkeeping Coach"
Continue reading "Throwback: Watch Astonishing Declan Ruth Point V Kilkenny In 2005"
Continue reading "Wexford Sports Tweets Of The Week"
Continue reading "Two Wexford Hurlers Have Jetted Off To Singapore For Exhibition Match"
Continue reading "Did Your Club Receive Funding? Check It Out Here"
Continue reading "Gary Laffan’s Side Will Face Infamous Ballyragget On Saturday"